As Google Readies New Wallet Version, Sprint Gears Up with ‘Open’ Approach | NFC Times – Near Field Communication and all contactless technology. Wallet initiatives continue to develop in the U.S., including plans by No. 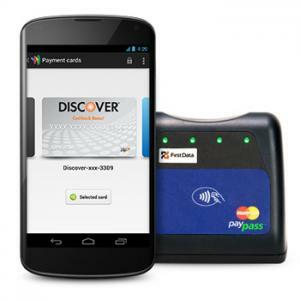 3 carrier Sprint to introduce an open concept, and a new wallet version from Google, which calls for a physical card accepted on the Discover network, while continuing support for an NFC-enabled PayPass application, sources said. As NFC Times reported last month, Google plans to issue a plastic card that can be accepted on the Discover Financial Services network, potentially adding about 7 million more acceptance points for its wallet. A Google source told NFC Times that Google is also preparing an app to run on the iPhone, which would require approval from Apple, and is planning a greater role for offers. The new wallet version, 2.0, is due out this month. But the search giant was originally supposed to introduce it at an event last month. so the launch might be delayed.